This moisture binding mask helps to nourish skin while stimulating cellular renewal, reducing wrinkles, firming and smoothing. Leaves skin feeling supple, soothed and balanced. Revitalizes skin with Borage and Macadamia Nut Oil. Repairs, refreshes and refines skin with Hyaluronic Acid. Helps to diminish signs of dehydration. Use 2-3 times a week or as needed: After cleansing, apply to face for 15-20 minutes. Remove with warm water and face cloth. I just started using this mask after trying many, many others. I love how smooth and moisturized my skin feels after using this. Very hydrating and it smells great. I saw on Dr. Oz women should use a hydrating mask with wine as one of the ingredients so I thought I would give it a try. This mask is the best! It's very soothing & after I rinsed it off my skin just glowed! My skin looked so hydrated & so soft! The only con is I wish it was a bigger tube for the price. 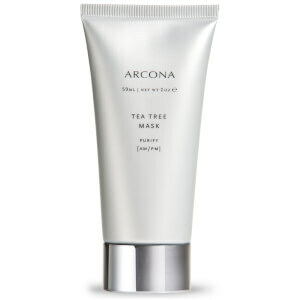 But I use both am/pm moisturizers from Arcona as well, they are fantastic products that work!! The mask is THE best hydrating mask I have ever used. The smell is wonderful. The texture is thick and creamy. The mask does not harden like a clay mask but after about 10 minutes, I notice my skin absorbing the mask. The mask rinses easily and leaves a light hydrating residue. Sometimes, I don't need to apply a moisturizer afterwards. Highly recommend to anyone with dry or sensitive skin. I was searching for a natural-ingredients face mask that was high in anti-oxidant treatment and contained hyaluronic acid -- I found the perfect product in the ARCONA Wine Hydrating Mask. It is a fabulous product, and I love it. I use it post-exfoliation, and it smooths on easily. It smells great, is gentle (I have sensitive skin that reddens and itches at the slightest irritant), and works like magic. My skin looks healthier (more clear, better color and texture) and feels better hydrated. I highly recommend it. One downside: it is a bit sticky, and so you have to take it off with a warm washcloth, rather than just splashing your face with water. I really like the Wine Hydrating Mask. It goes on creamy, unlike many masks I have tried and does not dry or crack as it absorbs into the skin. After I wash it off, my skin feels smooth and very hydrated.It is especially good for my skin as the weather turns colder since it tends to dehydrate in the winter months. I'm looking forward to continue using it and will definitely purchase it again. Following other reviewers comments, I use this before I have an occasion to attend. My skin is very moisturised and slightly plumped after use. I use a cloth to remove and comes off relatively easy. I usually don't really care for masks, but I really love this one! It does not feel like clay or dirt. It is extremely smooth and moisturizing. It is silky smooth and soft. Removes easily and leaves your skin already moisturized without the need for additional lotion or cream! Wonderful Luxury for my Skin! I use the Arcona Wine Hydrating Mask which I discovered at a Napa Spa in CA and fell in love. So glad I can order it here! I use it on my face after a shower or face cleansing and it feels amazing. So happy Dr. Oz featured wine masks and how the resveratol (found in grapes) is great for your skin. It just validates that this mask not only feels great but is good for my skin too! I have normal skin that tends to be drier in the cold winter air, and purchased this mask to soothe my skin. To my surprise, this mask not only soothed my chapped cheeks, but also plumped up and softened my entire face. I felt wonderful afterwards - and looked like I'd gotten a lot more sleep than 4 hours! I'm going to follow another reviewer's advice and use this as my "going out" mask to make me look more youthful and bright for special occasions. LOVE this product! This mask not only smells wonderful, but feels wonderful on my skin. I use it about every other day after cleansing with the raspberry acne bar. It feels so soothing, cooling, and hydrating on my skin. After 15 minutes I rinse it off, and my skin is beyond smooth. I love it!